Can you imagine a rim with a name more epic than FUCHS ? I guess it is real hard, if not impossible to find one. For decades now, the FUCHS rims are linked with Porsche almost as much as the 911 is. Porsche 911 and Fuchs are 2 words that fit together as nothing else does. Some of you might think that the FUCHS rims are a Porsche product. Well nothing else is true. In 2010 the OTTO Fuchs company celebrated it’s centenary. 2016 is another milestone for the company. The rim that made the company real famous celebrates it’s 50th anniversary. Bernd Ostmann brings you the history of the Otto Fuchs company and the FUCHS rims. The book explains in detail how the company was founded, and tells you how the rims are produced. Dozens of great pictures shows the evolution of the firm and the different phases in the production process of a rim. 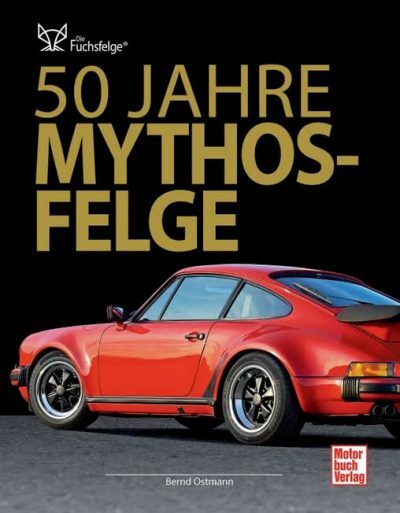 Next to the stunning pictures, the book ’50 Jahre Mythos-Felge’ brings you in a clear language all you need to know about the Otto Fuchs Company and the rims that made it so famous. No doubt to explain to you that this is a book that should not be missed in any Porsche library.